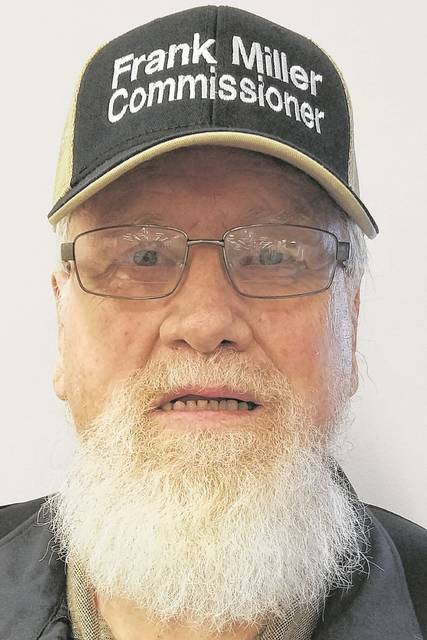 OTTAWA — Franklin T. Miller Jr. served the people of Putnam County for 40 years selling insurance and wants to continue that service as a Putnam County Commissioner. Miller ran for a commissioner seat about 10 years ago as an independent, he said. This year, with Commissioner John Love retiring at the end of this term, Miller is running again but as a Republican, he said. “I wanted to do my part in the community,” Miller said. The last time Miller ran for a local office was between about seven years ago when he Putnam County Republican party asked him to run for the clerk of courts office because there was no other Republican to run, he said. Recently he made a bid for Cliff Hite’s vacated Ohio Senate seat after his resignation. Miller sent a letter to President Donald Trump asking him personally for an endorsement to the seat. With business and chemistry degrees from Ohio Northern University, Miller said he will bring a different insight and understanding to the Putnam County Commissioners seat. “Now I want to get back into (local politics) because I think I have something to offer,” Miller said. Miller said he’s concerned about Putnam County’s sewer and water issues. With new state and federal mandates being placed on sewer construction he wants to make certain upgrades on Putnam County village sewer systems to meet those mandates can be done without increasing the cost to residents, he said. Miller is also concerned about increasing needs for clean water in the county, he said. As water needs increase there may be a time when Putnam County will have to build a new, expensive reservoir to keep up with demand, he said. Should he be elected, he said he will make himself accessible to residents of the county to hear their concerns and needs, Miller said.